Brenda Coley is a Wisconsin activist and the partner of Dr. Sandra Jones. In 1991, Brenda Coley, Wisconsin, was one of several hundred Communist Party USA members to sign the a paper "An initiative to Unite and Renew the Party" - most signatories left the Party after the December 1991 conference to found Committees of Correspondence. In the mid 1990s Brenda Coley wasa contributing editor to Oakland based Institute for Social and Economic Studies- sponsor of CrossRoads magazine, which sought to promote dialogue and building new alliances among progressives and leftists... and to bring diverse Marxist and socialist traditions to bear while exploring new strategies and directions for the progressive political movements. In 1992 Brenda Coley, Milwaukee endorsed the Committees of Correspondence national conference Conference on Perspectives for Democracy and Socialism in the 90s held at Berkeley California July 17-19. In 1993, the Committees of Correspondence National Coordinating Committee picked out several CoC members for inclusion in the CoC National Organizing Committee, including Barry Cohen (New York), Brenda Coley (Milwaukee), Carl Davidson, (Chicago), Pat Fry (New York), Huli Milanese (San Francisco), Jason Moore (Corvalis, Oregon), Sandy Patrinos (Chicago), Jay Schaffner, (New York). In 1994, the Committees of Correspondence National Organizing Committee, consisted of Barry Cohen (New York), Brenda Coley (Milwaukee), Carl Davidson, (Chicago), Pat Fry (New York), Libby Frank (Philadelphia), Kaleema Hasan (Detroit), Tristan Masat (Boston), Atiba Mbiwan (Atlanta), Huli Milanese (San Francisco), Charlene Mitchell (ex Officio), Sandy Patrinos (Chicago), Edith Pollach (Long Beach), Jay Schaffner, (New York). 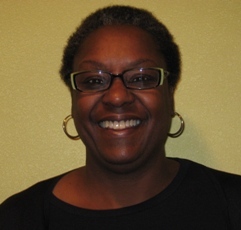 In the early 200s Brenda Coley was the Associate Executive Director at the Milwaukee LGBT Community Center, before joining in 2005, the staff of Diverse and Resilient as the Director of Adult Services. Coley worked closely with Gary Hollander, PhD, Executive Director, and Mark O'Neil, Director of Youth Services. Brenda Coley's position had specific emphasis on targeting and reducing the health disparities in the adult LGBT community across the state of Wisconsin. This page was last modified on 17 April 2014, at 00:20.